Need more information about booking Home 7284008 ? 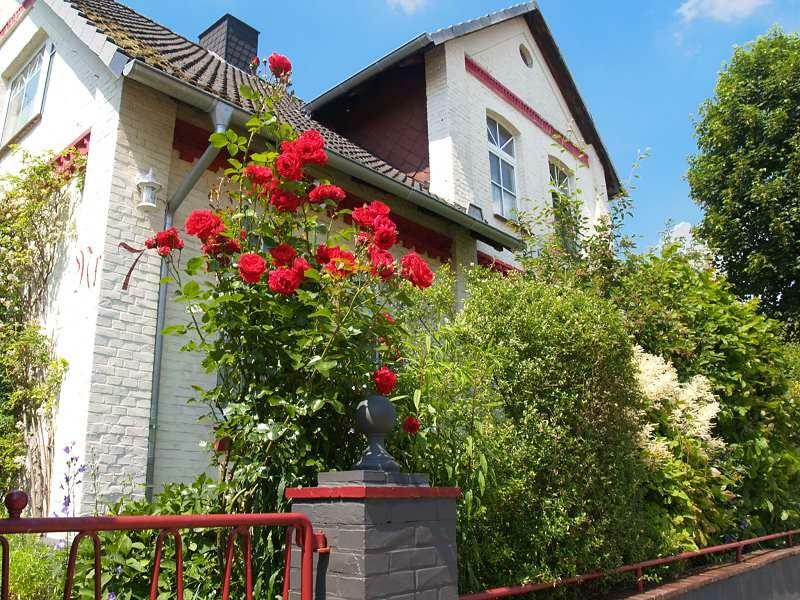 In the south of Hamburg, in Buxtehude our spacious and cozy apartment is located with atmosphere for 2 - 3 persons. Our lovingly modernized old building gives your stay a special touch. Ground Floor Flat - Separate entrance Equipment: With nearly 60 sqm, a living room, a dining room, a bedroom, a separate, fully equipped kitchen with washing machine * and of course a nice bathroom with tub and shower facility, our apartment offers enough space to relax and feel good. For this purpose a small terrace with garden furniture & a beautiful view of the countryside. Bicycles can be happy with us insinuate (external storage room), or use free our simple wheels. Residential street, no through traffic, no traffic noise from cars or train. A few minutes walk to the train station Buxtehude. With the metronome or the S-Bahn (DB) you can quickly reach destinations such as Stade (20 min.) Or Hamburg (32 min.) Direct! Also Cuxhaven is directly in 72 minutes. ALDI, MARKTKAUF, CAFÉ PORT, BAKERY HILLERT, BUDNIKOWSKY - all very close. With our parking permit, you are entitled to your car free of charge directly in our residential street remedy. No celebrations, parties, celebrations of all kinds. You can get in touch with Antje (the owner) through the contact form on this page. Send Antje (the owner) an email through the contact form on this page. Alternatively, if there’s a phone number on this page, you can call them. How do I contact Antje (the owner)? If you’ve already booked, go to Manage your holiday booking to view Antje the owner's contact details or send them a message. Or send Antje (the owner) an enquiry through the Contact the owner/manager form if you’d like a quote or more info first. When you pay online through the Book your stay form, a booking request is sent to Antje (the owner). You’ll find out within 24 hours whether they’ve accepted - no money will leave your account before then. You can also request a quote from Antje (the owner) through the contact form. The owner will email you the total cost for your dates and a link to book and pay online. Use the Book your stay form to pay provisionally online. You can pay by credit/debit card or PayPal. Antje (the owner) will have 24 hours to accept the booking and no money will leave your account before then. Why can't I call Antje (the owner) before booking? You’ll need to contact Antje (the owner) to do this. Send them a message in Manage your holiday booking or through the contact form on this page. You can request to change the dates or number of people on your booking via the Manage your holiday booking page. To change your holiday dates use the Edit booking button. If you need to change the number of guests staying then send Antje (the owner) a message. If Antje (the owner) agrees, they’ll send you a revised quote outlining the changes. You can review and accept/decline this from the Manage your holiday booking page. You’ll have 48 hours to take action before the revised quote expires.